Menites is a beautiful village built on Petalo Mountain, 200 meters above sea level and its verdant green landscape with its centuries’ old trees is truly a piece of untouched paradise. Menites is famous for its distinctive marble fountain, with spring water gushing down from six lion head spouts. Just above the springs, you will see the Church of Our Lady of Vergi, with its beautiful woodcut iconostasis. The village is the starting point for hiking to the main attractions of the island like Paleopolis with its archaeological site and the village of Lamyra with its noble mansions. These spots are easily accessible on foot and are wonderful for relaxation. 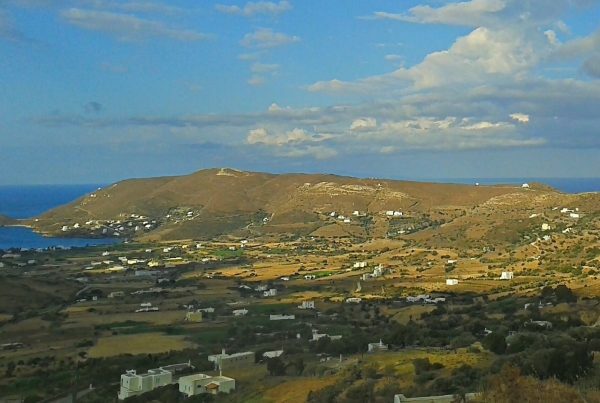 Close to Menites is the village of Mesathouri with its stunning views. The Feast of Dionysos is celebrated in Menites with much fanfare and on this occasion you can try the ‘amygdalota’, the exquisite sweet made with almonds, synonymous with this feast.